In the photo above is Dr. Stacey Hatcher, a medical doctor/internist from Texas and the Chairman of the Board of Open Arms International US. 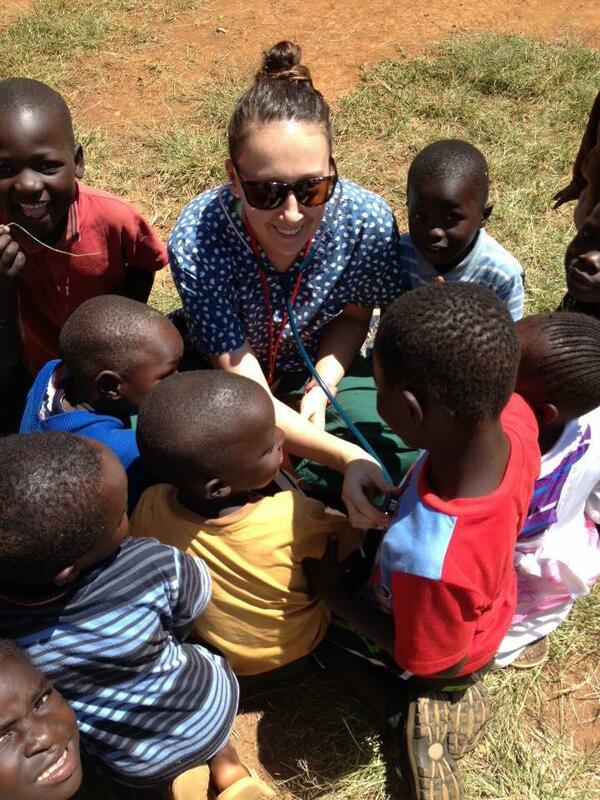 Stacey regularly leads medical teams to Eldoret, Kenya and to the Open Arms Village. We are getting very excited at the progress of the Medical Resource Building (MRB) in the Open Arms Village. We will have our very first permanent medical clinic for our community and for the Village completed in the first half of 2017 and officially open for business in the fall of next year. Over the past ten years, Open Arms has conducted temporary mobile medical camps in and around the greater Eldoret area. 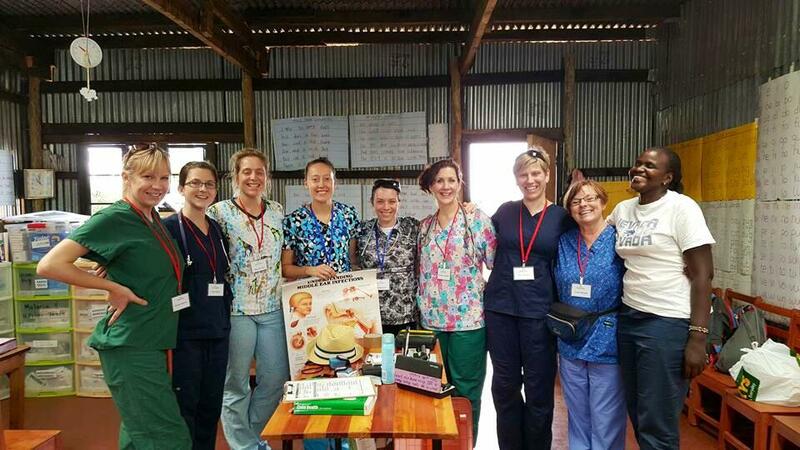 This past August alone, in the Kipkaren slum, a medical team from the UK treated 3,500 people over a four-day period. The need for quality and dependable healthcare in Kenya is great. In addition to meeting this medical need, we always share God's love through Jesus with those who attend our medical camps. When our MRB clinic opens we will continue to proclaim the gospel of God's Kingdom and His love for people through Jesus. We will do everything we can to save people physically, but we will also do everything we can to reach them spiritually; when the day comes and their bodies give out, they will be alive with Jesus in heaven. Your gifts to Open Arms are changing lives every day and in every way. When our MRB opens, thousands of lives will be touched and changed with God's healing hands through doctors and through Jesus. Please consider a gift to Open Arms today. We can't do this without you and we need your support more now than ever before. Open Arms is focused on preserving life and sharing abundant life through Jesus Christ. Mwana, a 100-year-old resident of the Kipkaren slum first met Open Arms International in 2014 at a medical clinic. 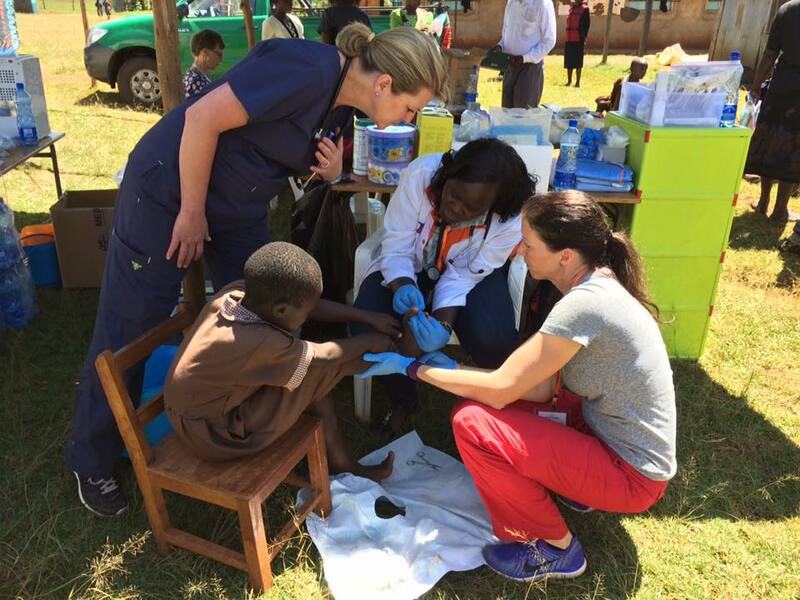 This year, a large medical team from the United Kingdom was able to set up a clinic in Kipkaren again. Excited about the potential relief from chest pain and an eye problem, Mwana eagerly set out to attend the 2016 Kipkaren Medical Clinic. However, this year, she made sure to bring family and friends with her, knowing they would receive high quality, compassionate care from Open Arms volunteers and staff. We were thrilled to treat Mwana and learn that people living in the Kipkaren slum value and look forward to OAI's assistance. She is very grateful for what Open Arms does for the community of Kipkaren. Helping at the medical clinic was interesting to me. I worked at the nursing station and learned a lot. There were many patients suffering from different illnesses - many of them were women and children. Some patients came to the clinics with severe wounds. On the first day, I didn't want to see any of it. On the second day, I wanted to leave the nursing station, but courage arose in me. I found myself going back to the same station because my heart hurt for these people. The largest lesson I learned during the clinic was the importance of maintaining high standards of hygiene, how to attend to an injured person, and above all I learned that if you want to be a doctor or a nurse you must be ready to serve. Surely, being a doctor is a calling, and not just a dream. Rachael came to Open Arms Village in January 2009. Orphaned at a young age, Rachel had been living with her elderly grandmother, who was unable to care for Rachel. At Open Arms Village, Rachel has grown up in a loving home with Kenyan parents. She has been given a quality education, nutritious food and clean water, health care and medicine, and the joy of being safe and secure. Rachel wants to be a surgeon when she grows up. You might remember the story of the Good Samaritan in Luke 10:25-37. A man is robbed and beaten, left for dead on the road. A good Samaritan - a passerby who was a complete stranger to the man who had been attacked - picked him up off the road, nursed him back to health, and provided for his needs while he recovered. In 2008, Stephen, who came to our Open Arms medical camp, was ambushed at night, attacked, and beaten mercilessly by a gang. His attack left a gaping wound on his leg which has never healed. Although our Good Samaritan doctors and nurses didn't find Stephen on the road, they did make an intentional decision to 'pass by' Kenya and Eldoret in order to put themselves right where people like Stephen needed help. And although Stephen had to hobble on his badly injured leg to the medical camp himself, his Good Samaritans were there to receive him and treat his wound. 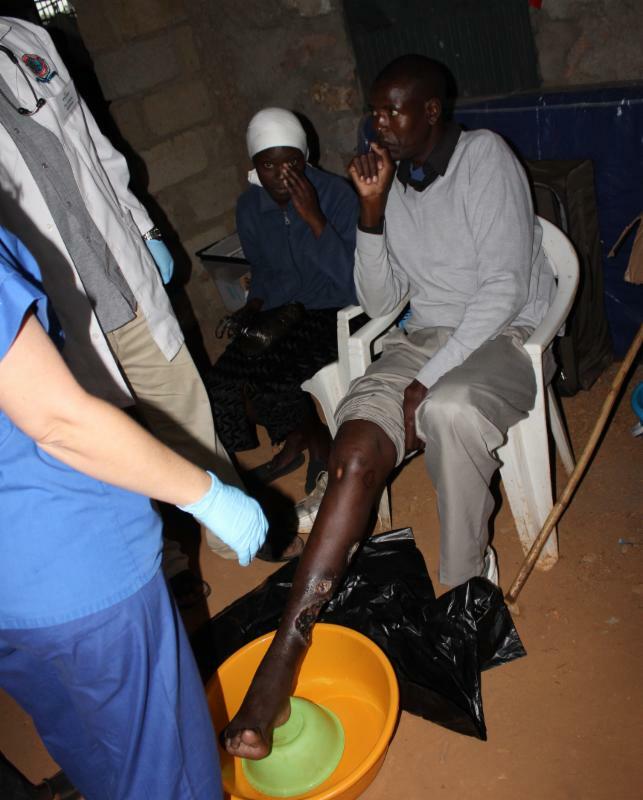 Stephen came to our medical clinic on three consecutive days getting wound care and dressing changes. After eight long years, he is well on the road to a full recovery. Open Arms can only follow in the steps of the Good Samaritan and help people who are suffering if it has the resources to do so. In the story in Luke, the Good Samaritan had the provision of oil and wine to treat the attacked man's wounds. 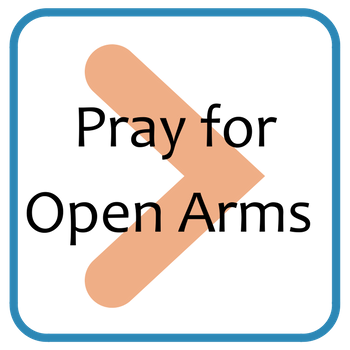 Open Arms may not use oil and wine to treat our patients' wounds, but we do need medicines, sutures, gauze, and ointments. You may not 'pass by' Kenya yourself to work with us in a medical camp, but you can be part of our Good Samaritan team by helping to provide us with the things we need to relieve peoples' suffering. Will you consider a financial gift today as part of our team to help more people like Stephen? Your gift will help ensure that more people won't suffer any longer than they have to without proper and appropriate medical treatment. Your faithful partnership continues to relieve suffering through God's Word and deed. 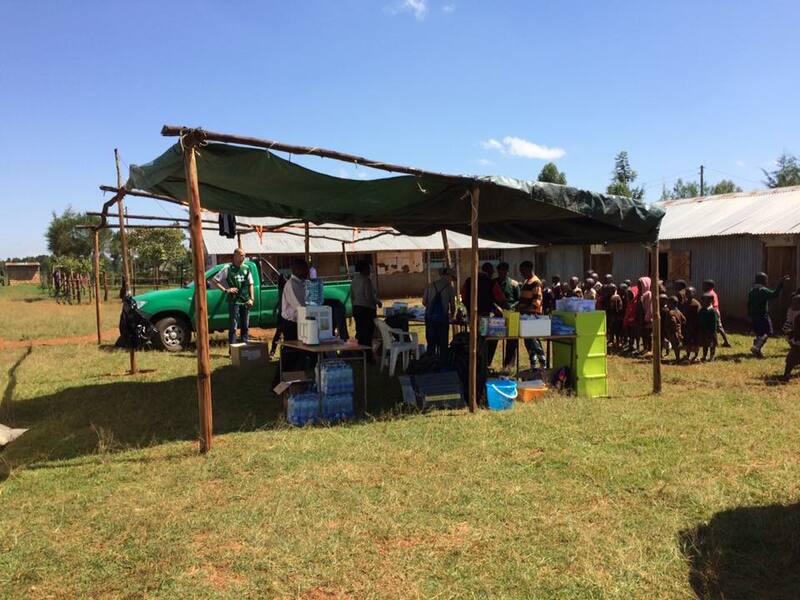 Recently, your gifts provided the Mlango community with a much needed medical clinic. Due to the construction at Open Arms Village(OAV), the medical team held the latest medical clinic near OAV at the African Inland Church. The medical team treated long-lasting injuries, infected wounds, and various ailments in over2,400 patients in 4 days. In addition, 220 individuals received salvation, and 36 patients were miraculously healed in the prayer tent! Thank you for your part in this mission. In 2010, Walter was a good Samaritan assisting victims at the site of a car accident. Another vehicle, brakes failing, slammed into the already-wrecked cars and Walter; his leg suffered a serious break at the thigh. Walter underwent a surgery where a metal rod was placed in his leg. Unfortunately, the rod was too short, causing Walter to fall and break his leg again. Walter was told he needed a second surgery. Sadly, this second surgery also failed and an infection began in his leg. In 2012, the rod was removed, but his infection never left. Walter was shopping for vegetables when he learned about Open Arms International's medical clinic. Four years after the infection had started in his leg - yes, four years - Walter came and was seen by the doctors and nurses who deeply wanted to help him. The medical staff found that the leg was severely eaten away by infection. It was so destroyed that bare bone was showing. Staff and volunteers knew immediately that Walter needed serious medical treatment or he would die. The team members, moved by Walter's condition, agreed to collectively raise the funds to give Walter the care he needed - a surgery to save not only his leg, but his life. We are happy to report that since the medical camp, Walter has received the care he needed. According to our co-founder, Rachel Gallagher, "Walter's graft is taking well and his leg is healing quite nicely." WAlter's Leg at the Medical Clinic | Walter's leg After Surgery | Walter's leg a few weeks post-surgery. Any good parents would go to great lengths to stop their child from suffering. That is why eight-year old Isaac Kiplimo's parents traveled over six miles to bring him to the Open Arms medical camp. Six miles might not seem like a long way to those of us in the Western world, but in a society where hardly anyone owns cars and one must get around on foot six miles is an enormous obstacle. Isaac was born prematurely in 2008 with five holes in his heart. He also has Down syndrome and is autistic. He has suffered from his physical conditions and from inadequate medical care his entire life. To this day, he cannot walk and can only say a few words. He is unable to feed himself and relies entirely on his mom and dad for survival. His parents love their little boy beyond words and call him their miracle baby because they lost two other children before he was born. When Isaac's parents heard about the Open Arms medical camp, Isaac was having difficulty swallowing and was having stomach problems. The Open Arms medical staff diagnosed Isaac with tonsillitis and H. pylori. H. pylori is a bacteria that can cause stomach problems, such as pain, bloating, and ulcers. The Open Arms medical team was able to treat and help Isaac with his tonsillitis and his H. pylori infection. In addition to this, Rachel Gallagher was able to coach and offer some help to Isaac's parents on how to raise a special-needs child like Isaac. She was also able to refer his parents to a school nearby that works specifically with children like Isaac to make their lives much, much better. We can't fix all of Isaac's problems, but with your help we can certainly treat some of them and help him to have a better quality of life. 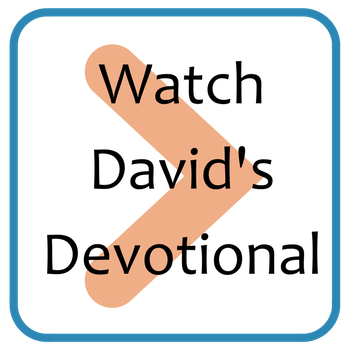 Would you please consider a gift today? 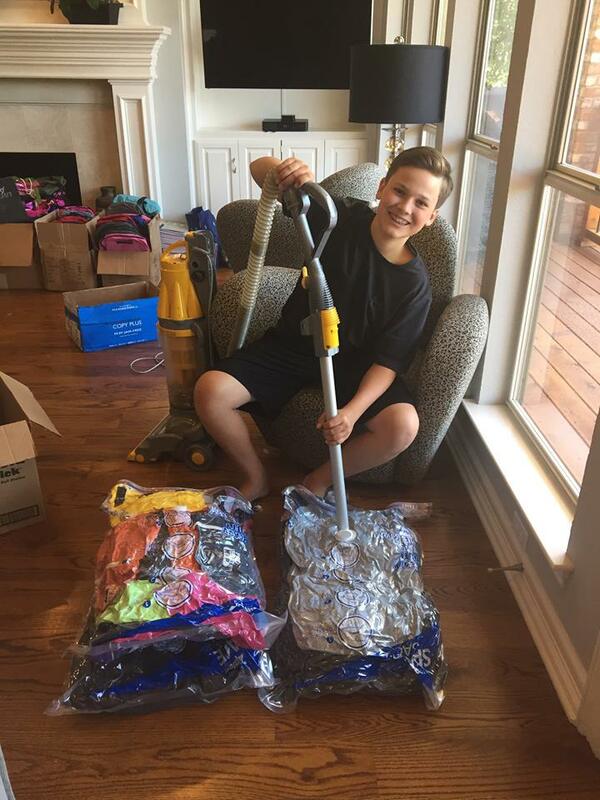 YOU can bring relief to more children just like Isaac! 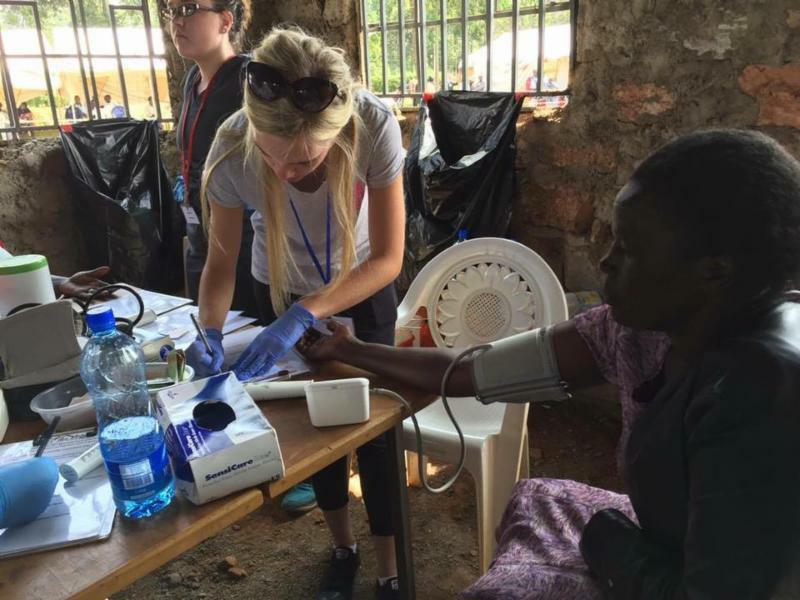 A quick update from our co-founder, Rachel Gallagher: Milestone Church medical team has done an amazing job and we just finished 3 days of medical clinics seeing about 700 patients, mainly children! Yesterday the clinic was to our children and getting really thorough assessments on them starting with our gorgeous babies. Thank you Milestone team!!!" Our first medical camp of the year was a big success! 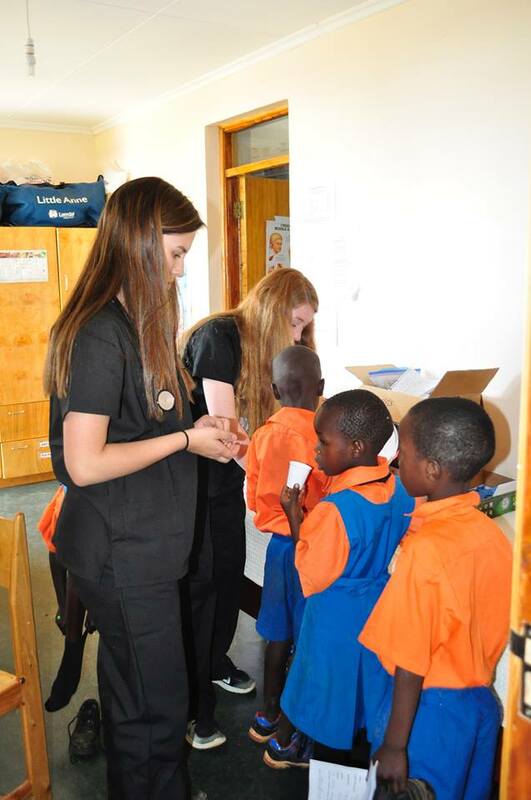 During the month of January, we had our first mission team and medical outreach of the year. 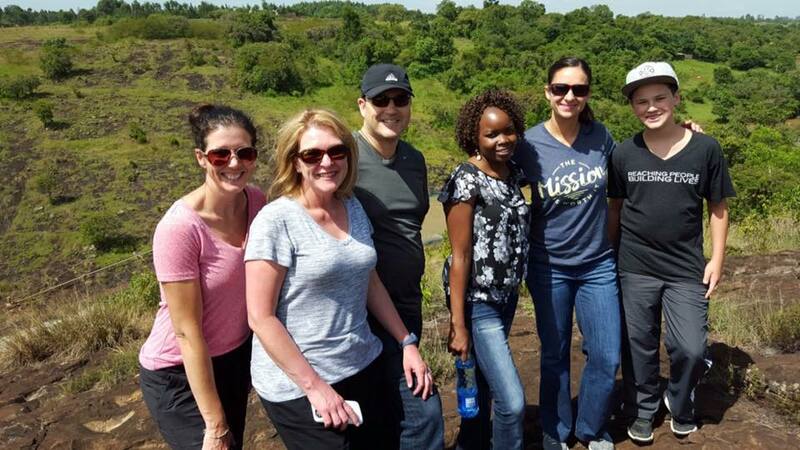 The team was able to treat nearly 3,400 people in the Kambi Teso slum just 5 days. As they treated physical wounds, they were also able to address spiritual wounds as they shared the hope of Jesus! Praise the Lord for His remarkable work in the hearts and lives of so many! We have collected some of the stories from the team and want to thank you for your prayers and support. Our first team of 2016 left Portland, OR on Saturday, January 16th. 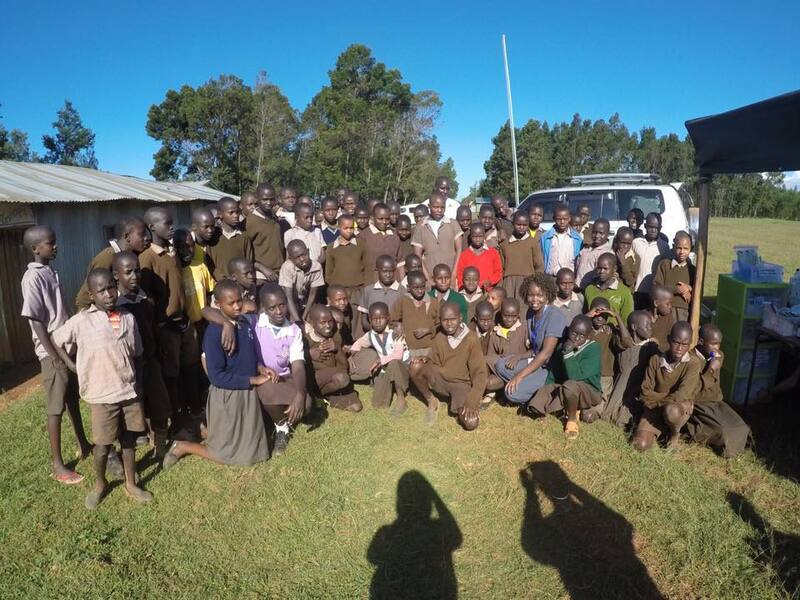 They arrived to Eldoret and began working right away! After settling into the Village, they began preparing for a huge medical clinic in the Kambi Teso slum. Open Arms has not been able to host a medical clinic in the slum for many years, and we anticipate that it will be heavily attended by thousands of patients who would otherwise go without medical care! We've collected a few stories from our team members and hope you will keep the team and the patients they see in your prayers as they continue to minister to people who are devastated by poverty. 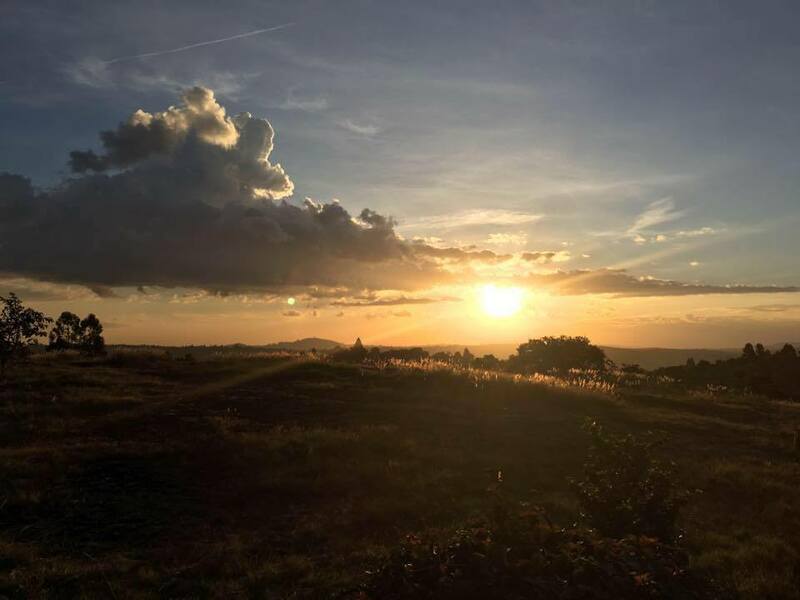 "This morning I was awoken very early by the Kenyan birds, on my one day to sleep in (today we get a day of rest and exploring). As I lie here in bed under my twisted mosquito net, reviewing all my photos from our medical clinic yesterday I find myself smiling. I love sitting down with each patient, sitting across from them at their level, grabbing their hands, making eye contact with them and saying "Hello, my name is Brooke; what is your name?" Then they state their name shyly. I continue to look in their eyes, the window to their soul, and say "I am a nurse, I am here to take good care of you, to try and make you feel better. I am happy to do that for you." Then they smile, and their shoulders relax. I read parts of their registration/triage/diagnosis paper aloud to them and then say "I see you have a fever and fatigue, I would like to draw a small sample of blood to test for Malaria, is that okay?" Then they nod and their eyes light up. They're being heard. They're being valued. After the test I hug them, or gently rub their arm, squeeze their hand, and say "thank you for coming, thank you for letting me help." Every day we cross paths with "strangers," often times just briefly. Maybe they're helping us at a grocery store or coffee stand, maybe we are helping them at our job, maybe we are just passing them on the sidewalk. Make eye contact, show them that you see them, that they're not alone on this crazy planet where we can often be made to feel like we are just next in line, or invisible among the crowd. I give you this challenge from Kenya.